I don’t know about you, but typically by February I’m feeling a bit of spring fever. This year is no exception! The excess snow and cold temperatures have me longing for green grass and warm, fresh air. Our yard is full of birds during the winter. Somehow, taking time to focus on them for a few days reminds me that spring is coming. 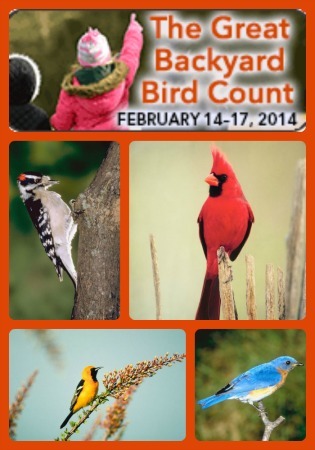 The Great Backyard Bird Count is a great event that gets my mind off the winter cold. Best of all, I’ve found events like this can encourage kids to become self-directed learners. Oftentimes introducing kids to an event will spark curiosity about that subject. Kids then naturally become seekers of information. 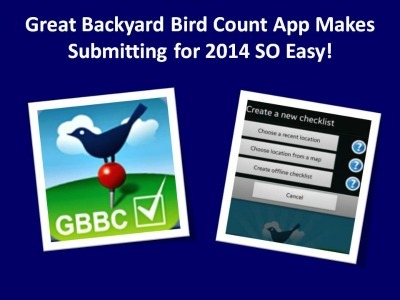 The Great Backyard Bird Count is a citizen-project which collects data used by scientists. The data collected gives them a big overall picture of the birding population. It’s powerful for kids to know their efforts are part of a large collective effort. Join with us Feb 14th-17th for The Great Backyard Bird Count. What’s so great about the Great Backyard Bird Count? 1. You don’t have to be a birding expert to take part. Is a robin the only bird you can identify? That’s fine. GBBC encourages you to count the birds you can identify. Kids are often inspired to learn when they are involved. This event very well may have them off on their own learning quest as they seek to identify the feathered friends they see. Let them be the lead researchers! 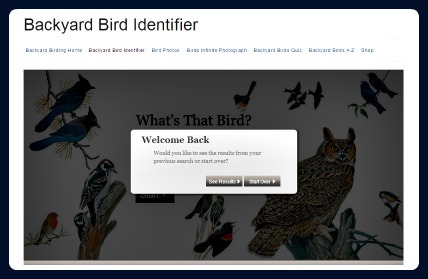 The Backyard Bird Identifier at National Geographic is an easy to use and fun website kids can use to identity birds. There are also lots of resources available so kids can learn more about birds on the GBBC for kids website. 2. Participation requires only a bit of time each day. According to their website, GBBC simply asks participants to “Count birds for at least 15 minutes on one or more days of the GBBC.” You can count longer than 15 minutes. You can participate one day or all 4 days. It’s up to you! 3. GBBC has an app so submitting your bird list has never been easier. It’s available for both Android and iPhone users. You can still submit your list directly on the website as well. GBBC has downloadable instructions available. They also have an instructional video. If your family is feeling a bit housebound, turn your eyes to the great outdoors for the 2014 GBBC. If you want to use the Great Backyard Bird Count to kick off a fun study, we have just the eBook for you. Study what exactly is a bird, what do they eat, the importance and appearance of their feathers, their different types of nests, their different types of beaks, how they fly, their life cycle from egg to adult, what makes them different from other animals, hummingbirds, types of raptors, label the parts of a bird, craft ideas, poetry, and more! Who knows, you may find a real birding enthusiast in your home who decides to keep learning and contributing all year long. Leah is a wife, homeschool mom and co-founder of CurrClick.com. She lives with her husband and 2 children in Central, Illinois. She’s homeschooled since 2001 and is nearing the end of her homeschool journey with one child now in college and the other in his final year of homeschooling. We’ve never lived by normal hours as my husband has always worked 2nd or 3rd shift. It’s not uncommon for us to start our day late and finish late. We tried for years to follow curriculum to the fullest, but found we always had trouble sticking to the plan. My kids don’t live in a box and neither should their education! We are always more inspired by the world around us. Leah’s been using eCurriculum and other forms of online educational resources in her home since 2002. She’s written many articles and speaks at conferences and homeschool events about online classes, technology and homeschooling. She feels that parents and kids must navigate the digital world together and often advises them on the how-tos of that journey. She loves seeing how online classes have connected homeschool families all over the world and enjoys helping parents sort through the “buzz words” that have emerged with this new technology. Most of all, she’s excited to see how the internet has brought the homeschool community together, allowing opportunities for support, encouragement, and friendship that go far beyond the boundaries of physical location. We have been looking forward to the backyard bird count. Thanks for the free study. Thanks for sharing this info! I’m glad we found out about this so we can participate. Thanks again for the info!